Music is such a necessity for me, as I'm sure a lot of people. My favorite thing to do is take a drive and blast my favorite music, it's so refreshing and helps clear my mind and put me in a great mood. From Britney (obviously) to some good old Tracy Chapman and November Rain to Taylor and Fleetwood...I personally think you can't go wrong with this selection, but that's just me. I'm thinking I need to make a Halloween playlist next-- what do you think friends?! 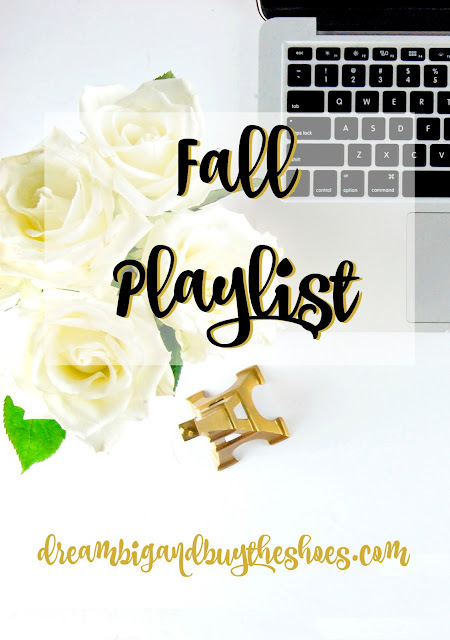 What would you add to your Fall playlist? Have a happy Monday and great week ahead!